Since returning from the All-Star break, the Cavaliers have lived up to the expectations that were put on them at the beginning of the season. The Cavs have been dominate since January 15, posting a league best 24-5 record. Cleveland’s success has largely been due to the trades for J.R. Smith, Iman Shumpert, and Timofey Mozgov. The brilliant play of Kyrie Irving and LeBron James has also been key during the Cavaliers run. The Cavs have been hard to beat at home, winning 13 straight at The Q. However, Cleveland’s toughest challenge of the second half of the season has been it’s grueling road schedule. The Cavs have had to play of 10 out of the 13 games since the All-Star break on the road. They have proven to be road warriors by notching huge wins in Washington, Toronto, Dallas, and San Antonio. The Cavaliers wrap up a four game road trip tonight in Miami. After the game, they will return home for a quick two game homestand, before heading back on the road for three more games. The Cavaliers big three are finally starting to come together. 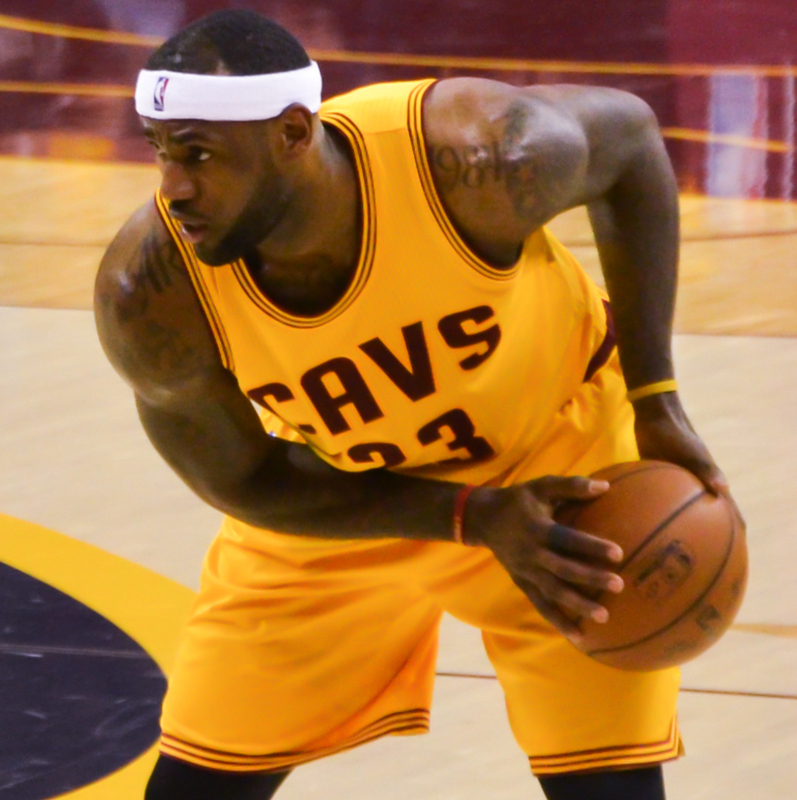 The three stars connected for a big play during the Cavs 89-79 victory over the Suns on March 7. Irving chased down a loose ball and kicked it out to Love, who then passed it behind his back to James for the layup. The hustle play was a thing of beauty and it showed what this group is capable of. LeBron is having a great season and is still in the discussion for MVP. Since ditching his trademark headband against the Suns, James has been all business. He has scored over 20 points in each of the Cavs last 3 games, including a 31 point performance in San Antonio. Kyrie has been spectacular during the Cavs current four game win streak. Irving put on a show in Thursday’s 128-125 overtime win against the Spurs. He set a franchise record with 57 points and was 7 for 7 from 3 point range. Irving drained a three pointer as time expired to force overtime. He went to hit another tough 3 pointer in overtime to lift the Cavs over the Spurs. In order for the Cavs to make a long postseason run, they must stay healthy. The Cavs have managed to avoid major injuries since the All-Star break. Shawn Marion suited up on Sunday night in Orlando after missing 12 games with a hip injury. Kevin Love was given the night off in Orlando to rest. He has suffered from back spasms since November and experienced a flare up during the game in San Antonio. James suffered a minor injury in Sunday’s win as he tweaked his knee. He finished the game and will receive treatment before tonight’s game against the Heat. Cavalier fans should not be too worried about the injuries as there are only 14 games remaining in the regular season. The Cavs starters will soon get some much needed rest as the team prepares to make a deep run into the playoffs. Today’s game was special, from Kyrie and JR crazy shots, to LeBron power drive between Gasol and Noah. I think Cavs are sending a strong message that they are coming together into an amazing championship ready team. That streak since LeBron comeback is really something when you add that the Cavs have still to work on more plays for all their pieces, specially Kevin Love. Love can certainly give so much more rebounds and post up moves to make the team solid when the game slow down. Something better than just seen Kyrie and LBJ going iso all the time.